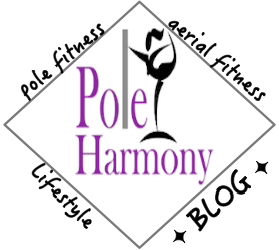 Pole Harmony: Hello Physio Peanut! Where has this little gem been all my life? I recently online ordered a physio peanut from Amazon.com to participate in a mini Instagram challenge for circus athletes. And...HELLO! I have fallen in love. The physio peanut doesn't look like much, but it certainly works wonders. I have been using it pre-aerial work lately and have noticed a significant improvement in how I feel post training and teaching classes in the days following my workouts. My biggest problem area was constant pain in my trapezius and neck muscles. I've implemented specific exercises that target my lats and pec muscles and have found relief in my common problematic areas. Below are a few go to exercises I have started to do pre and post workouts courtesy of Dr. Jen Crane of Cirque Physio. I can't believe I went all these years without a peanut. I have started to recommend this essential tool to all my pole and aerial students. I've always used a foam roller and tennis ball however, the peanut gets into areas that both the foam roller and tennis ball never touch. It's just not the same in my experience. The peanut far surpasses the results I've ever been able to get with just a foam roller and tennis ball. While I still use the foam roller and tennis ball, my peanut has been essential for getting a more targeted release response. Overhead shoulder mobility getting you down 😫?? Try this myofascial mobilization for lats and rotator cuff! 🥜 This is a great drill to do as part of your warm up- it fires up your lats and rotator cuff, and gets them neurologically ready to do WORK 💪 1. Place peanut as shown, over any combination of the x’s. 2. Lie halfway between your side and on your back, so that your weight is directly over the peanut. 3. With your shoulder elevated to 90 degrees, move your shoulder from internal to external rotation. 4. Then, trying to keep your forearm as close to parallel to the floor as possible, move your arm up overhead and back down. ✨ You should feel a “hurts so good” sensation in the muscles directly under the peanut. You should NOT feel numbless/tingling or pain- if you do, move the peanut and try a different spot. It sometimes takes a bit of finessing to find the right spot for your shoulders, so make sure to try all variations of peanut placement! 10-15 reps of each variation on each arm is a great way to decrease muscle tightness in lats and rotator cuff before your workout!